At the CSIRO’s Energy Centre campus on the northern outskirts of Newcastle are two 40-metre “power towers”: one is curved and elegant, the other a mess of girders and gantries, ducts and pipes. In a world where many propose overturning industrial infrastructure to save the planet from carbon emissions, McNaughton and his team of visionaries are retaining technology used since the 1860s. McNaughton’s team sought to replace the coal that generates steam with solar energy; and now they’ve replaced the water itself with carbon dioxide. The seven-year-old project retains the turbine at the centre of large-scale power generation because this solar power project is not about photovoltaic panels on roofs. There are about 1.5 million Australian households and businesses with PV panels on their roofs and most feed into the power grid. But the National Energy Market (NEM) is 6000 kilometres long, and small-scale PV power lacks the frequency and inertia to be efficiently pushed hundreds of kilometres down the line, McNaughton says. Enter utility solar, also known as concentrated solar power (CSP), which uses the sun’s heat, rather than its light. 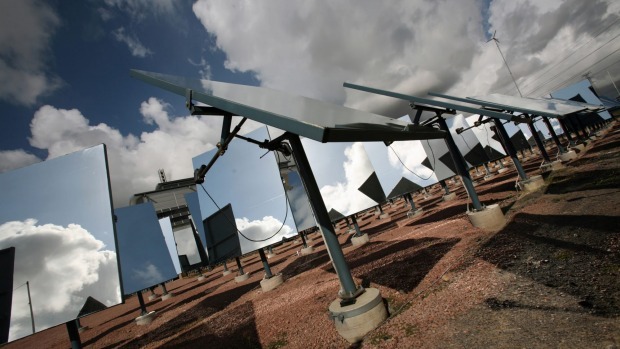 CSP concentrates the heat from a field of heliostat mirrors. The heliostats at Newcastle are slightly curved to create a first‑stage concentration and they’re controlled by actuators that track the sun. Typical coal-powered boilers run at about 540 degrees and pressure of 17 megapascals. 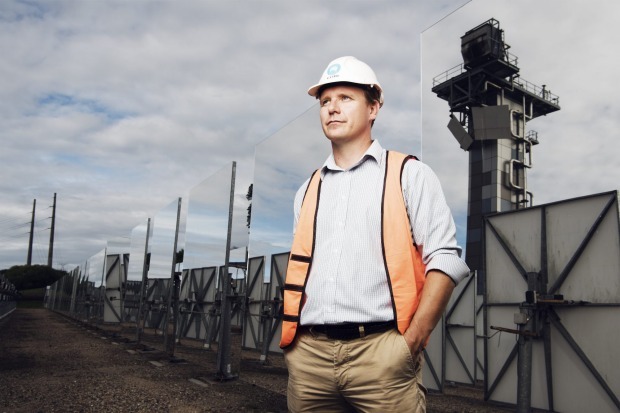 In June 2014, McNaughton’s team created supercritical steam at 570 degrees and 23.5 megapascals – a world record for solar. Just as home owners can buy batteries to store rooftop power for later use, if utility solar is going to simulate the baseload capacity of fossil fuel power generation, it has to store its thermal energy so the turbines can be turned at any time. “To be utility-grade it has to produce power when the sun isn’t shining, and it has to be dispatchable between 6pm and 7pm,” says McNaughton, referring to the peak load window of the national grid, when demand is greatest and power at its most expensive. In Spain’s Gemasolar power plant and the United States’ Crescent Dunes, where utility solar is being used commercially, the heat is stored in molten salt (Jemalong also uses salt). It is heated by the solar receiver and when the sun goes down, heat from the stored salt is used to drive the turbine. McNaughton’s team has used salt. But Australia has the world’s highest rate of insolation – the solar radiation that reaches the Earth’s surface – in populated areas (similar insolation levels in Africa and the Americas occur in desert zones) and the CSIRO team plans to use it to achieve higher thermal efficiency rates. The problem, says McNaughton, is that while salt is an excellent medium for running a turbine and storing heat, it has a natural limit of 590 degrees – well short of the temperatures that create optimum thermal efficiency. So his team has moved on from water and salt and are using carbon dioxide instead. 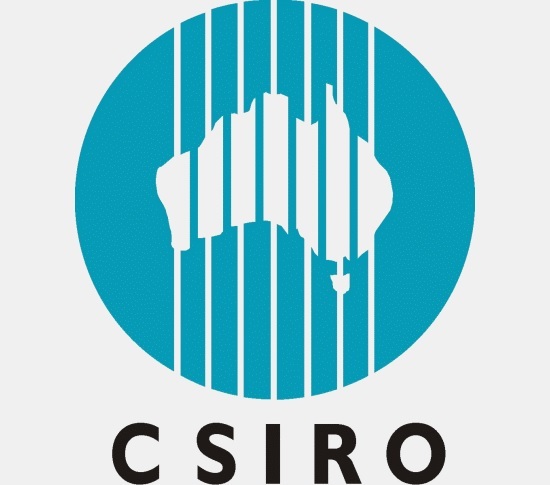 The CSIRO project heats the CO2 to 720 degrees, at which point they run a CO2 turbine at greater than 50 per cent thermal efficiency (water and salt run at just over 40 per cent). In the ugly-but-effective power tower at Newcastle, McNaughton’s team reticulate 100 kilograms of CO2 through the receiver. It is heated to 720 degrees and runs a fridge‑sized turbine which has produced enough power to run a small town. Storing the heat is done through a steel tank at the base of the tower in which special ceramic balls are heated by the initial solar process; a secret heat-transfer liquid is run down the tank and into a heat-exchanger, from which a turbine can be driven when there’s no sun. “No other publicly acknowledged project in the world is doing this with CO2,” McNaughton says. McNaughton’s team set itself benchmarks well beyond simple proof of concept. This project delivers a technology that a power company will actually build and rely on, and just to emphasise its acceptance by the engineering world, the solar-CO2 project is in technology partnerships with power giants GE and Mitsubishi. “We don’t see the value in a technology that isn’t producing at least 50 megawatts,” says McNaughton, referring to a minimum size at which a CSP plant would be viable. McNaughton’s team will have a prototype plant operating by the end of 2016, and he expects it to run for at least two years before the big banks and super funds consider it to be sufficiently low risk to be worth investing in. One risk they don’t have to worry about is fossil fuel price volatility, a fact McNaughton says will see financiers backing the technology.